We offer a superior quality Frozen Buffalo Meat, which is higher in protein and other nutrient content. Moreover it has low calories and cholesterol in comparison to other type of meat. We are offering the best quality range of Buffalo Frozen Meat that is made employing the top quality material in compliance with set industry values. Clients can avail from us, frozen buffaloo kasila which is selectively obtained from the healthy buffaloes. 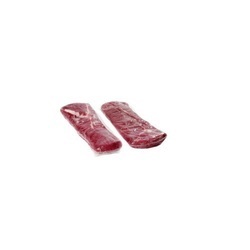 The frozen buffaloo kasila is hygienically processed to assure its quality in terms of taste and freshness. We pack this frozen buffaloo kasila suitably so that it is protected from contamination caused by microbes, moisture and temperature conditions. we are leading exporter of frozen buffalo meats . Buffalo Intestine are a 100% natural product without artificial addictives. The drying process ensures that the important proteins, vitamins and minerals are retained. Dried Liver is made up of 100% from the buffalo Liver without additives.It is a produced from fresh buffalo liver with the drying process. Providing frozen boneless buffalo meat and offal's. picture of fresh hq cuts 98% vl. The allana group enjoys the distinction of being the pioneer (1969) in the export of deboned and deglanded frozen buffalo meat, exporting its products currently to 64 countries world-wide, including south east asia, middle east, cis, africa and pacific basin nations, singularly accounting for about 60% of meat exports from india. We offer a superior quality frozen buffalo meat products like boneless buffalo meat, which is higher in protein and other nutrient content. Moreover it has low calories and cholesterol in comparison to other type of meat.